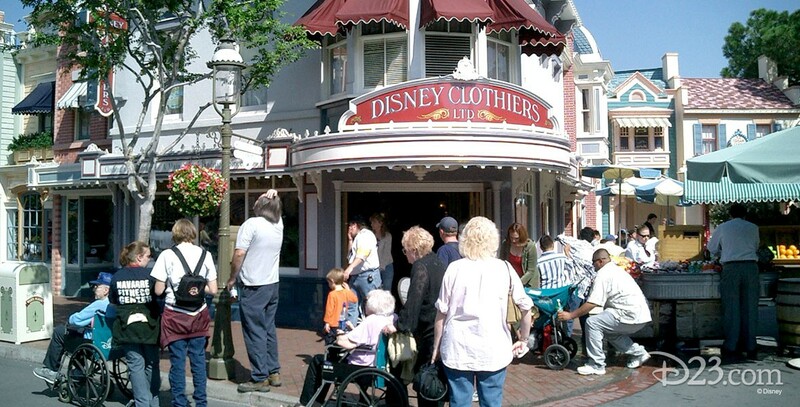 Disney Clothiers Shop on Main Street at Disneyland; opened on March 23, 1985. Took the place of the former Hallmark card shop. Also in Magic Kingdom Park at Walt Disney World; opened on February 24, 1985. Also in Disneyland Paris; opened on April 12, 1992.